Not a Model Builder - Not a Problem! I have long been a fan of scale sailplane models. I built a fair number of scale model airplanes in my youth, and I currently have a scale sailplane model hanging over my office desk. It is loosely suspended by thread - giving it the freedom to dance and sway - as if ever working to find the core of some great thermal. 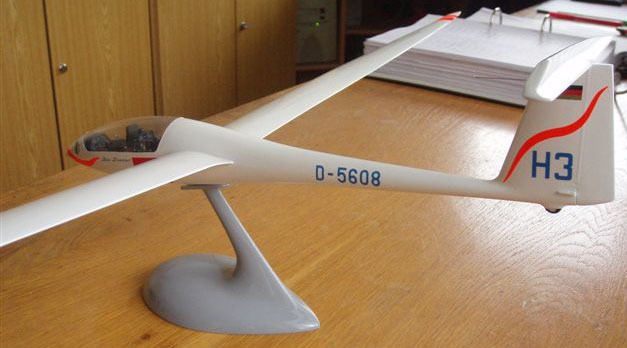 A nice sailplane model, like any work of art, is enjoyable to look at. Sailplanes are certainly elegant and efficient machines. When I look at a sailplane model, I see the lovely long wings, and the purpose built aerodynamically optimized fuselage, but I also see the history of that particular sailplane. Every sailplane type has an interesting history. There was a person, or group of people, or company that put their hearts and minds into the development of that particular sailplane. It may have been the descendent of many, similar (or quite different) sailplanes in a long line of sailplanes. 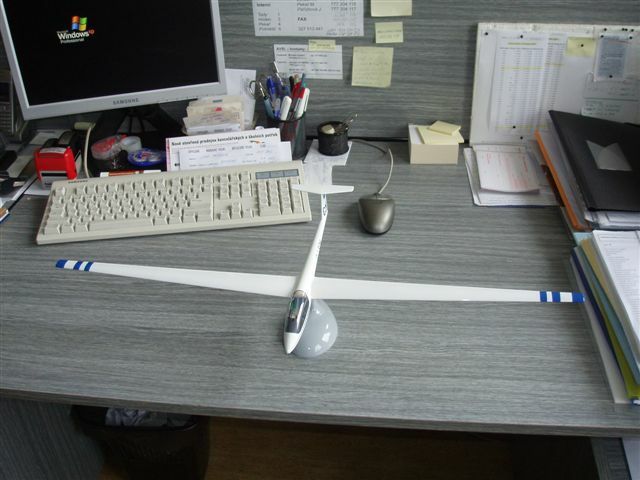 I see all that when I look at a scale model sailplane. I also see the potential for adventures to come. I see the cross-country soaring flights that await me in the future. I guess I’m passionate about sailplanes and sailplane models. You will notice that when you visit my Sailplane Models web pages. I have spent a lot of time documenting each model kit. I have photos of the model parts, a scan of every page of the assembly instructions, photos of finished model kits and photos of the full-size sailplanes the model is patterned after. I also provide some historical information about the sailplane type. I also try to add value with model building and terminology tips and links to web sites with tips on building scale models. 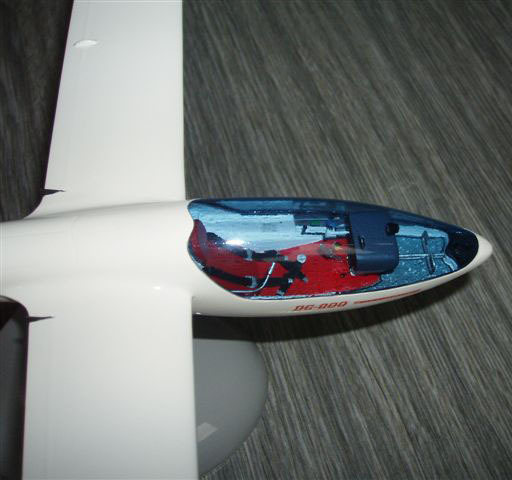 Sailplane models are more than just fun to look at. Sailplane models can be a great tool for introducing the sport of soaring to others. 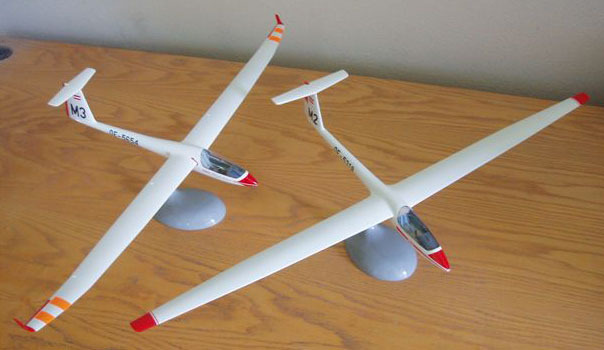 Sailplane models look great hanging over or sitting on your desk at work, or sitting in a display counter at the local gliderport. They are a great way to encourage friends and colleagues to ask you about soaring. Just think how many more people would ask you about soaring if you had one of these models prominently and proudly displayed! They are also great to admire while waiting for your new full-size glider to be delivered, or while waiting for spring as your glider is hibernating in its trailer for the winter. 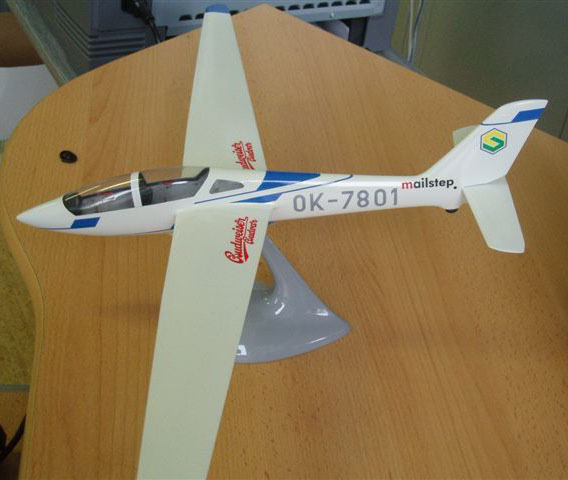 Model sailplane kits are also a great way to promote soaring with kids. Building a model glider is fun and a kid that hangs a glider from his bedroom ceiling is more likely to get into flying gliders in the long run. Buy one for your kids and grandkids and nephews and nieces - and help them build it. I sincerely believe that glider model kits are a great way to introduce kids to gliders. Not a Model Builder – Not a Problem! The model kits on these pages are fun and rewarding to build. But let’s face it; some of us don’t have the time or skills to build a model that we would be proud to display. That is not a problem. You can have a model built for you. I have established a relationship with a professional model builder. He can build any of the kits on these pages for you for about $300. I’ll send the model kit directly to him and he’ll build it and send it to you. The finished product will look fantastic. There will soon be links to examples of his work here. He has built several models for me that are proudly displayed in my office. Let me know if you are interested in this service. 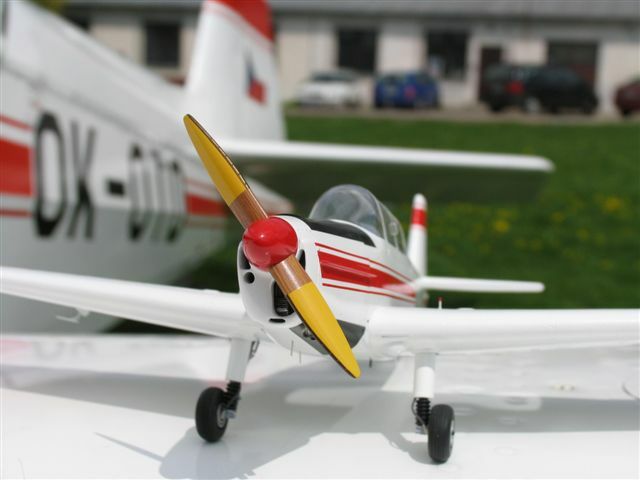 Pawel Nowak lives in Leszno, Poland and builds scale sailplane models in 1:22 scale. They don't offer detailed cockpits - which makes them more affordable than the models from HPH. But they are very precise and shiny and lovely. Details are available on the Nowak page. 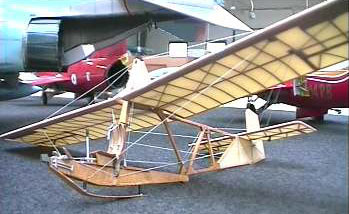 HPH builds scale models of just about any aircraft. 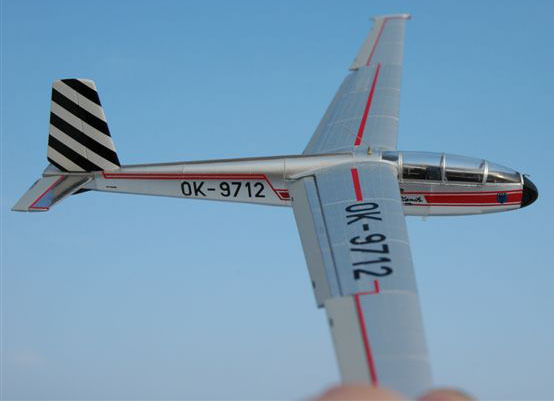 You can expect to pay between $600 and $1200 for a detailed scale model of your sailplane. They are worth every penny. You can see details and photos on the HPH page. This web site is targeted at pilots of full-sized gliders - it is not a hobby shop. I'm not an expert model builder. 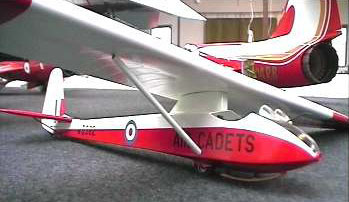 However, many pilots of full-size gliders are also builders of model gliders. 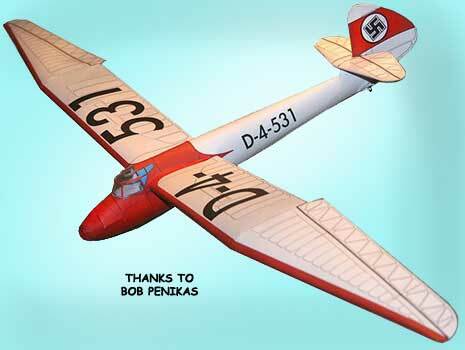 The page is a collection of some very nice, scale plastic and resin models of gliders from around the world. It has been fun hunting them down, collecting and documenting them. They are delivered as unassembled kits which require assembly, gluing, and painting. They make excellent display models or as training aids for showing new pilots the parts of a sailplane or for "flying" the model (in your hand) through a maneuver that will later be done in the air. Another great idea is to display the completed model on your desk at work as a way to invite questions about soaring. I have a few nice models hanging over the desk in my office. I am a firm believer that model kits are a great way to promote soaring with kids. Building a model glider is fun and a kid that hangs a glider from his bedroom ceiling is more likely to get into flying gliders in the long run. So buy one for your kids and grandkids and nephews and nieces - and help them build it. I suppose you will think that I'm saying that in order to sell more kits and make more money, but I really do sincerely believe that glider models are a great way to introduce kids to gliders. However, some of these kits have very limited instructions, so adult help is recommended. Click on the manufacturer names below to view details on all their model kits. Click on the glider images to go directly to details for each model kit. Czech Master Resin Czech Republic 1:72 Resin Very small, but nice. Some kits are very detailed. Many interesting kits. For experienced modelers. Pawel Nowak lives in Leszno, Poland and makes lovely scale sailplane models, made of carbon fiber, fiberglass and wood. They do not feature detailed cockpits - which keeps the cost reasonable. The model is made to order with great care and attention. You can specify the registration number, contest number, coloring, etc.. This gives you a unique specimen. A real eye-catcher in your home and a must-have for any glider fanatic! These are not kits, they are display models - ready to display and complete with mounting base. 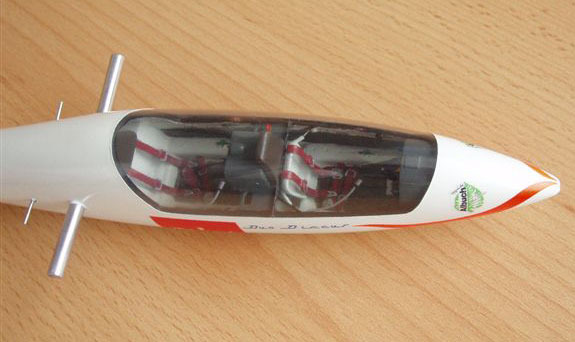 The sailplane models are all done in the 1:22 or 1:25 scale. Details are available on the Nowak page. HpH in the Czech Republic is known for their incredibly detailed finished scale aircraft models. They are also the manufacturer of full scale sailplanes. Their models are not unassembled model kits, they are detailed finished models. Each model is made to match the original full-size aircraft - including paint schemes, contest and registration numbers, and cockpit details. They are, therefore, much more expensive than unassembled model kits, but they are worth every penny. They look great hanging in your office or sitting on your desk and they are a great way to encourage friends and colleagues to ask you about soaring. 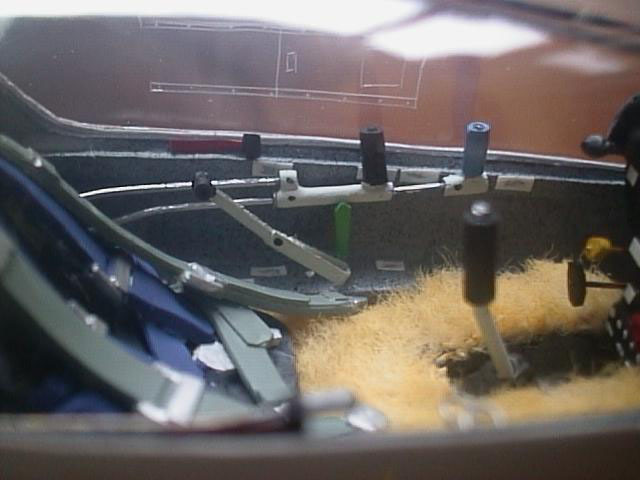 Just think how many more people would ask you about soaring if you had one of these models on your desk! They are also a great to admire while waiting for your new full-size glider to be delivered. Their sailplane models are all done in the 1:25 scale - which makes them larger than all the model kits listed above. Details are available on the HpH Models page. Please note that there are several different scales used in these model kits. The larger the scale number, the smaller the model. The 1/72 scale models are quite small. The table below can be used to get an idea of the actual sizes of the different scale gliders. I don't want anyone to be shocked to find an extremely small model upon arrival. 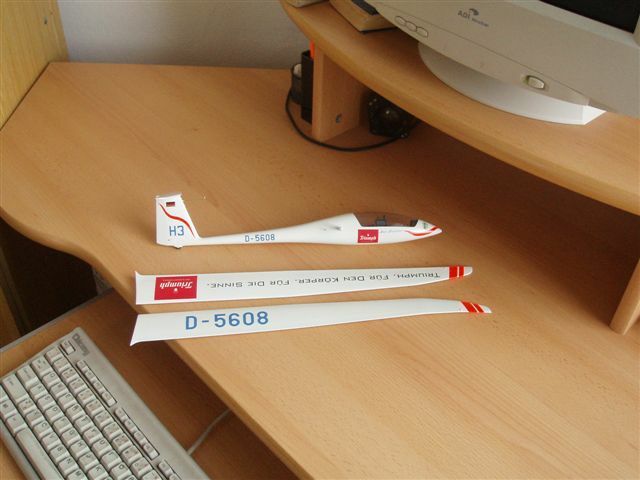 A few examples may also help – The 1:32 scale Revell DuoDiscus model has a wingspan of 62.4 cm (24.6 inches). The 1:72 scale Stümmel Habicht has wingspans of 8.3 or 11.1 cm (3.3 or 4.4 inches). Wash Parts - Be sure to wash all parts of all model kits in mild detergent before assembly to remove any trace of mould release wax. I use a mild dish washing soap and a lot of water. Plastic Injection Molded Kits - Plastic model glue is most commonly used. However, cyanoacrylates ("CA", "superglue") and epoxies also work fine. Resin Kits - Plastic model glues will not work. Use super glue (also called cyanoacrylate or "CA") or epoxy. Use a safety mask when sanding and painting all models. 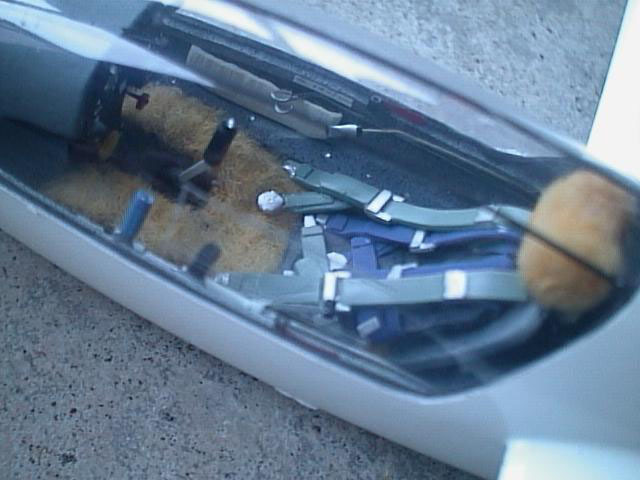 Resin and plastic dust and paint fumes can be harmful if inhaled. "Wet sand" to minimize dust in the air. Wet sanding is sanding with the sandpaper wet. Since the dust sticks to the sandpaper so it won't get into the air and be inhaled. Provide good ventilation when sanding and painting models. A painting hood that is vented outdoors is highly recommended. The web sites below offer tips on building scale plastic model kits. If you have ever built a plastic kit, it was probably an injection-molded one. The parts are formed in polystyrene plastic that are attached to frames known as sprues. After removing the parts from the sprues, you put the kit together as a three-dimensional puzzle, helped by detailed instructions. Plastic parts are glued together with plastic cements such as the tried-and-true tube glue, liquid cements, superglues, or epoxies. The Revell and Profiline model kits are Plastic Injection Molded Kits. Note that these kits offer the highest quality, lowest price, and they are the easiest to build. FiddlersGreen.net - Neat paper card model of airplanes and gliders. 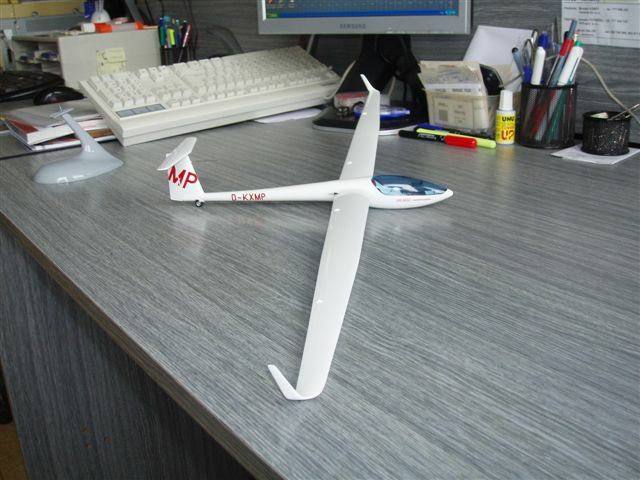 eModelAirplanes - Custom scale display models - Search for either glider or sailplane. Interesting, but they don't appear very accurate.